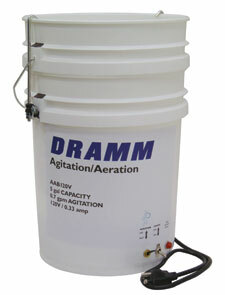 Dramm offers a full line of chemical application equipment. 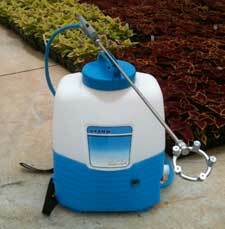 Dramm has produced and sold specialty spray equipment for greenhouses for over 40 years. 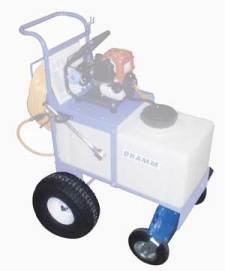 At Dramm, we believe that there is no "one-way" to spray. 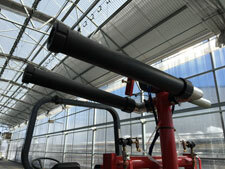 As a result, we manufacture and sell more than 35 different machines for the greenhouse and nursery industry. 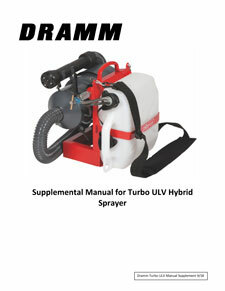 From spot spraying to space treatment, Dramm has you covered. To help choose the right equipment for your needs, download our white paper "Selecting the Right Sprayer". This paper discusses the different types of equipment available and reasons to choose one over another. 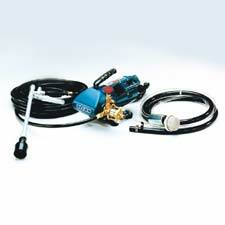 Each type of sprayer has advantages and disadvantages. Matching these to your situation is key to selecting the right equipment. 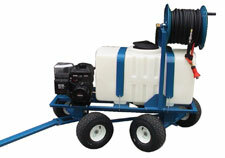 Let us help you select the right sprayer. Call us at the numbers on the left or email us with questions. To help service our equipment, manuals are provided below listed with each product and on the individual product pages listed above. Treats up to 5,000 sq ft alone or up to 7,000 sq ft with HAF fans. Perfect for individual greenhouses, quonset huts and smaller areas. 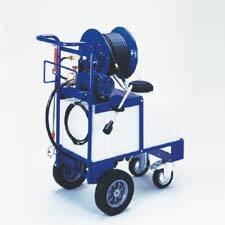 More than one can be used together for larger areas and separated for smaller areas. Treats 60,000 sq ft alone or up to 140,000 with HAF fans. Uses two LVH fogger heads with one compressor and control section. 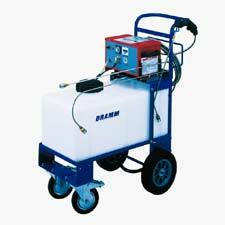 For the application of corrosive chemicals with the Autofog. 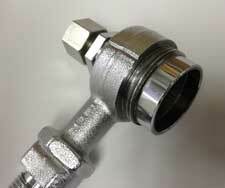 Replaces the standard brass nozzle. Available for all Autofog sizes. The CFAR-20/150 Coldfogger is a low-volume chemical applicator that can easily apply all formulations of pesticides, growth regulators fungicides, vaccines, cleaning products and disinfectants using a highly concentrated spray solution. The low-volume method of applying chemical solutions diminishes costly run-off and greatly reduces application times. Very small droplets are generated to provide deep and even penetration of chemicals. The large tank holds enough spray solution to provide up to 70,000 sq. ft. of coverage in as little as 70 minutes. The powerful high pressure fog projects a plume of 30-60 micron diameter spray droplets 20 - 25 feet from th e hand held spray gun. The quality of spray is a tremendous improvement over conventional hydraulic sprayers that produce droplets that vary in size from 100 - 400 microns. 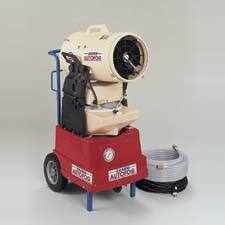 Includes 150 feet of High Pressure Hose and can come with the standard solid rubber tires or the BigFoot pneumatic wheel kit. The 50 galllon Coldfogger can treat up to 200,000 with one tankload of solution. 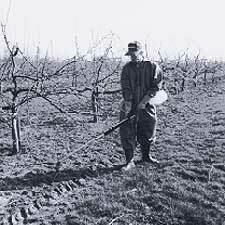 The CFAR-50 is available with 150' or 300' of high pressure hose and can come with either solid rubber wheels or the BigFoot pneumatic wheel option. The Bigfoot upgrade replaces the Coldfogger's solid rubber wheels and casters with 15 pneumatic wheels and pneumatic casters. This is available on both the CFAR-20 and CFAR-50 versions. 3,000 psi rated hose for Coldfogger units. For greenhouses. Fogs 10 liters in 45 minutes. Propels fog up to 65 feet. K-10 25 HP/10 Liter K-10 Portable PulsFOG® BROCHURE MANUAL 25 lbs. 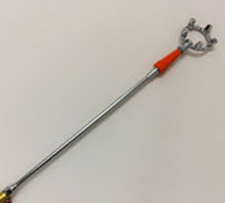 For livestock or outdoor. For use with oil-based formulations. Fogs 10 liters in 45 minutes. Propels fog up to 65 feet. K-10/O 25 HP/10 Liter K-10/O Portable Livestock PulsFOG® BROCHURE MANUAL 18 lbs. For greenhouses. Fogs 10 liters in 30 minutes. Propels fog up to 120 feet. K-22 50 HP/10 Liter K-22 Standard PulsFOG® BROCHURE MANUAL 18 lbs. K-22/O 50 HP/10 Liter K-22/O Portable Livestock PulsFOG® BROCHURE MANUAL 33 lbs. For greenhouses or livestock. Safe for heat sensitive products. Fogs 5 liters in 15 minutes. Propels fog up to 120 feet. K-22 BIO 50 HP/2-5 Liter K-22 BIO Portable PulsFOG® BROCHURE MANUAL 34 lbs. For greenhouses. Fogs 10 liters in 15 minutes. Propels fog up to 220 feet. K-30 100 HP/10 Liter K-30 Standard PulsFOG® BROCHURE MANUAL 25 lbs. K-30/O 100 HP/10 liter K-30/O Portable Livestock PulsFOG® BROCHURE MANUAL 42 lbs. For greenhouses or livestock. Safe for heat sensitive products. Fogs 55 lites in 80 minutes. Propels fog up to 220 feet. K-30/20 BIO 100 HP/2- 55 liter tanks K-30 Large BIO PulsFOG® BROCHURE MANUAL 67 lbs. 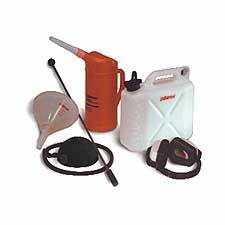 For livestock or outdoor use. For use with oil-based formulations. Fogs 55 liters in 80 minutes. Propels fog up to 220 feet. K-30/20/O 100 HP/55 liter K-30 Large Livestock PulsFOG® BROCHURE MANUAL 58 lbs. For greenhouses or livestock. Safe for heat sensitive products. Fogs 50 liters in 50 minutes. Propels fog up to 300 feet. 100 Liter tanks available. For greenhouses or livestock. Safe for heat sensitive products. Fogs 50 liters in 30 minutes. Propels fog up to 350 feet. Larger tanks available. For K-30/20 PulsFOG machines. Can handle two 55 liter tanks. Allows for height adjustment and includes handle to turn PulsFOG. K-30/20C - K-30/20 Cart - MANUAL 85 lbs. Same as K-30/20C but with Big-Foot pneumatic tires and casters. 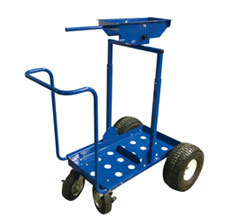 K-30/20C-BF - K-30/20 Big-Foot Cart - MANUAL 90 lbs. Use of the PulsFOG requires a carrier solution to help reduce surface tension and create evenly sized droplets. There are three solutions available. For most horticultural applications, NutriFOG is the preferred carrier. VK-I and VK-II are also available. NutriFog and VK-II are for all chemical formulations and mixed with water. VK-I is for EC chemicals only and is NOT to be mixed with water. NF-20 20 liters NutriFog - For all chemicals BROCHURE MANUAL 58 lbs. VK1-5G 5 gallons Carrier Solution - For EC Chemicals BROCHURE MANUAL 56 lbs. VK2-5G 5 gallons Carrier Solution - For all chemicals BROCHURE MANUAL 50 lbs. VK2-1G 1 gallon Carrier Solution - For all chemicals BROCHURE MANUAL 9 lbs. PFC-1G 1 gallon Cleaning Solution BROCHURE MANUAL 9 lbs. 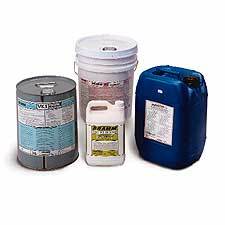 VK1-55G 55 gallons Carrier Solution - For EC chemicals BROCHURE MANUAL 600 lbs. VK2-55G 55 gallons Carrier Solution - For all chemicals BROCHURE MANUAL 535 lbs. The Turbo ULV 110v Targeted Cold Fogger. The TULV110 offers an adjustable output from 5-11 liters/hour and an adjustable particle size range of 10-100 Âµ. 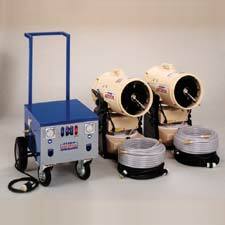 Depending on the output and particle size, the TULV110 can propel the fog up to 75 feet. This manual describes how to use, care for and mix chemical solutions for the Dramm TurboULV Hybrid. 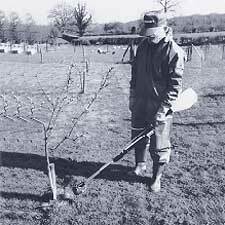 The Turbair Electrafan (TEF) is an air assisted spinning disc sprayer for low and ultra-low volume application of insecticides and fungicides in situations with no natural air movement, e.g. indoors. The Electrafan can be used in glasshouses and polytunnels for the treatment of crops, for pest control in buildings, insect control in animal houses and for applying vaccines to poultry. The ULVA+ is a rotary disk atomizer that applies chemicals evenly both indoors and outdoors. It is designed for use in areas where there is natural air movement. The ULVA+ is perfect for outdoor row crops as well as cut flowers. The ULVA+ produces 50-60_Âµ droplets that drift on air currents as they drop, providing even coverage on all plant surfaces. The one liter bottle can treat up to 6,000 square feet with one fill. The ULVA+ uses 4 D cell batteries. Complete with batteries & recharger. 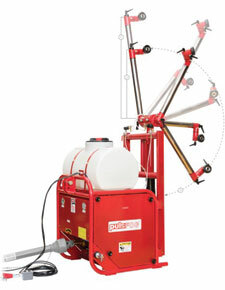 The Microfit Herbi, part of the modular Microfit system, is a spinning disc sprayer for the Controlled Droplet Application (CDA) of herbicides and other chemicals. It can apply CDA formulations or traditional water-based products at total spray volumes of only 5-20 liters/acre. The consistently large spray droplets, of around 250_Âµ (microns), minimize the risk of spray drift and fall in a precise 4 ft. wide circular spray pattern. Herbaflex and Herbi-Twin attachments are available for narrower or wider band widths. The Herbi is used worldwide for band spraying and can treat several acres in one hour. 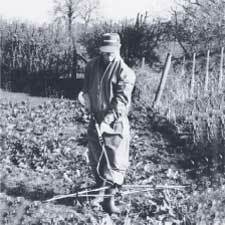 Uses include general clean-up, border, pathway, or strip spraying, and spraying of larger areas by making consecutive spray passes. The reduction in mixing and filling operations offers operator safety advantages. 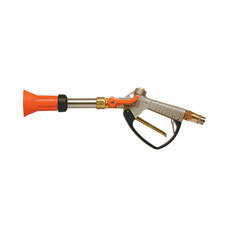 The Herbiflex lance sprays a 4 - 20 inch bans spray that is directable. 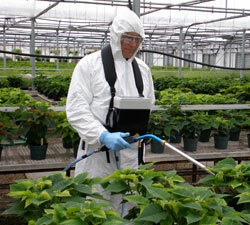 An optional spray shield is available to protect desired plantings. 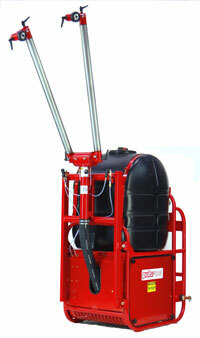 The Microfit Herbi-Twin, part of the modular Microfit system, is a twin-headed, spinning disc sprayer for the Controlled Droplet Application (CDA) of herbicides and other chemicals. 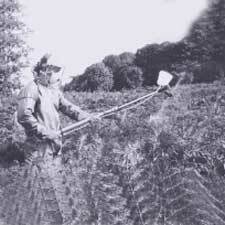 The Herbi-Twin greatly reduces time by doubling the area covered per pass. The twin disks create an adjustable band width of 5.5 - 7.5 ft. for maximum dispersal of chemical. 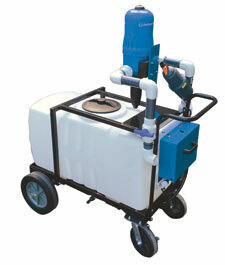 The Microfit Herbi-twin is a low volume sprayer that has a high work rate and is very economical. Herbi Power Pak with bottle. PPM-#4 - Herbi Power Pak (with bottle) - - 4 lbs. 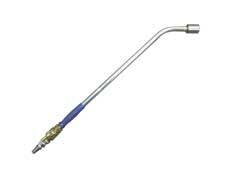 LH-1A - Herbi Microfit Standard Lance - - 4 lbs. LH-2A - Herbi Microfit Flex lance - - 4 lbs. LHT-3 - Herbi Microfit Twin Lance - - 5 lbs. 5 Liter Backpack for Microfit Herbiflex sprayers. 5171A 4-20 in Herbaflex Spray Shield - - 2 lbs. 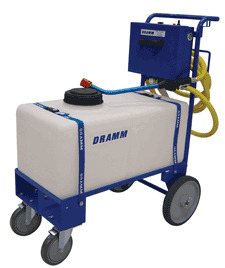 The Dramm Heavy-Duty sprayer is powerful and compact- designed for every type of chemical application. Model MSO is a hydraulic sprayer with fully adjustable pressures, making it a highly flexible tool for the application of pesticides, fungicides, wetting agents, cleaning solutions and disinfectants. By simply twisting the spray gun knob you can adjust the pressure from a stream that throws up to 20 feet to an eight foot diameter mist. 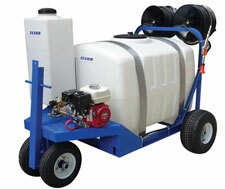 Includes the MSO Sprayer on our MS-20E Cart. 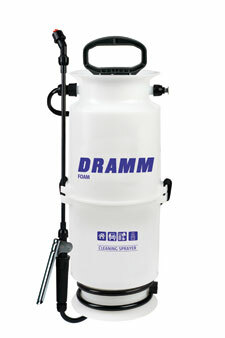 The Dramm MS-Gas sprayer is powerful and compact- designed for every type of chemical application. 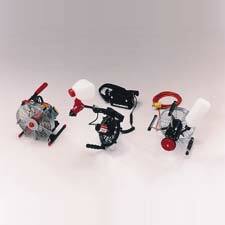 Powered by a 2-stroke engine for reliability. Model MSO GAS is a hydraulic sprayer with fully adjustable pressures, up to 350psi making it a highly flexible tool for the application of pesticides, fungicides, wetting agents, cleaning solutions and disinfectants. By simply twisting the spray gun knob you can adjust the pressure from a stream that throws up to 20 feet to an eight foot diameter mist. 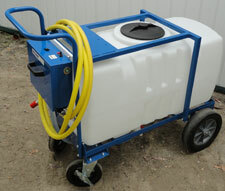 Includes 66' Discharge Hose Trigger-Style Gun and Suction Hose Sprayer Cart and 20 Gallon Tank. 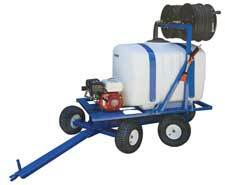 Add the Bigfoot upgrade to any MS or HYDRA sprayer for more rough terrain. The Bigfoot upgrade replaces the solid rubber wheels and casters with 15 pneumatic wheels and pneumatic casters. 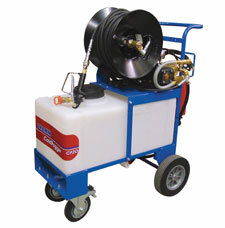 Works with the MSO, MSGAS, Chemdose 120, Ferticart, Watercart, Foamer and the HYDRA line of sprayers. 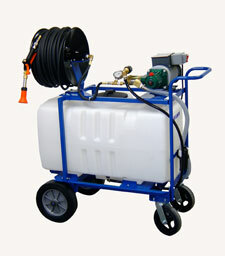 Includes the MSO Sprayer on our MS-20E Cart with 100' of hose NO REEL. 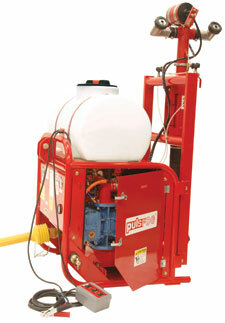 The CD-2 is a portable, hose-end unit that connects to either an injector or hydraulic sprayer below 100 psi. 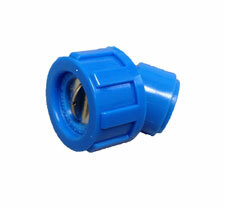 This eliminates problems with hose length and power. 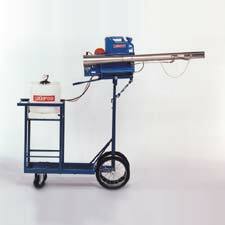 The CD-120 Chemdose is a cart mounted precision dosing system. With a 20 gallon tank, an 18 width and a rechargeable battery, the CD-120 is very portable. Includes 3 different wand lengths. Dramm's Hydrosensitive Paper turns blue when it comes into contact with water or oil. 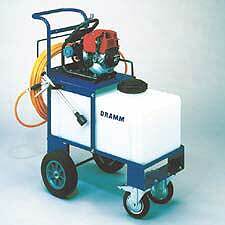 Very useful for showing the deposit of spray particles and for training new applicators. 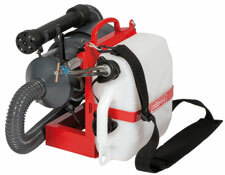 The BP-4 is a high pressure, battery operated backpack sprayer the offers an even flow for with no pumping. The BP-4 has two pressure settings, 90 and 150 psi. The BP-4Li is similar to the BP-4 but includes a quick change battery and a quick charger. Additional batteries are available for purchase. Operating time on one battery is 45 min. 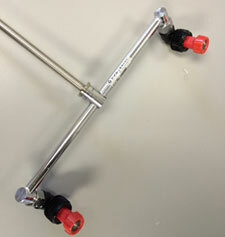 Single fan nozzle and body for the BP-4 Backpack Sprayer. Allows for more precise control of chemical applications. 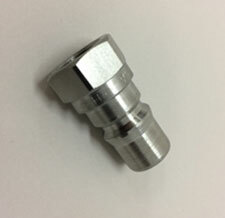 Twin nozzle bar with coarse spray for sprenching and herbicide application. K-05LCT 5 liter 5 Liter Chemical Tank - MANUAL 2 lbs. K-10LCT 10 liter 10 Liter Chemical Tank - MANUAL 3 lbs. K-55LNR 55 liter 55 Liter Chemical Tank - MANUAL 11 lbs. K-CF - Chemical Funnel - MANUAL 1 lbs. K-GP - Gas Pitcher - MANUAL 1 lbs. K-EP - Ear Protectors - MANUAL 1 lbs. 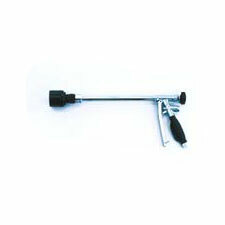 K-CHP - Cleaning Hand Pump - MANUAL 1 lbs. 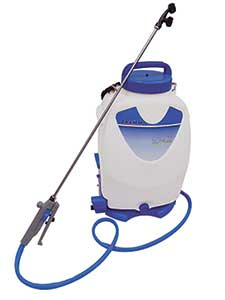 K-CST - Cleaning Solution Tank - MANUAL 2 lbs. 149 - PulsFOG Dosage Nozzles - MANUAL 1 lbs. 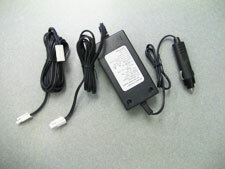 Car charger for use with the BP-4QCB ONLY. Charges spare batteries in 150 minutes. 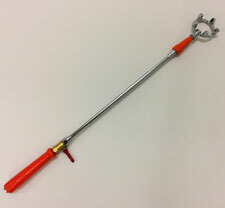 5 jet spray lance with a ring for MSO, CS-5AGS, MS-GAS, Hydra (male stainless steel quick connect required) or BP-4. Extends to 30 inches. Part L-5E does not include the grip or valve. The FOAM8L is a foamer that uses compressed air to make a rich foam. Like a compression sprayer, you hand pump the FOAM8L but, leave a reservoir of air in the tank. This air mixes with the solution to create the foam. Requires the use of foamable products. The FM20 Foamer connects to your compressor to create a rich, aerated foam that will adhere to vertical surfaces and persist, improving contact time. 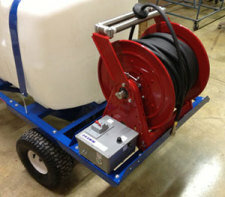 FM20-30 Foamer with pneumatic 15 turf tires and outrigger pneumatic casters. The TracFOG PTO driven fast fogger is a tractor mounted fogger that creates ultra-fine particles and propells them hundreds of feet. 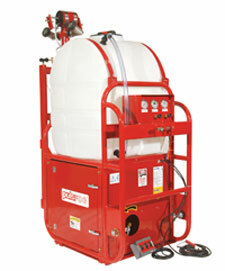 The TracFOG400 has a 400 liter (100 gallon) tank and two directable nozzles. 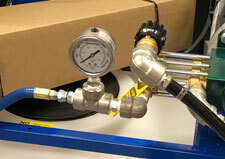 The new Autovalve version includes solenoids to control each nozzle as well as a pneumatic directional reversal. The TracFOG 400GV is like the standard unit but with much taller nozzle masts allowing the nozzles to be aimed above greenhouse vegetable crops. The GV unit does not have the automatic nozzle system. 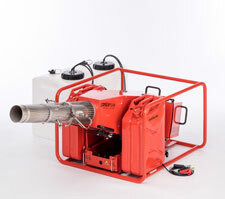 The TracFOG 100 has all of the features of the larger 400 but with a smaller tank. 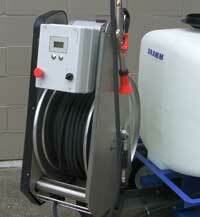 The 100 liter (25 gallon) tank can treat up to 500,000 square feet when full. The TracFOG 100 has all of the features of the larger 400 but with a smaller tank. The 100 liter (25 gallon) tank can treat up to 500,000 square feet when full. The TF100GV has taller booms to be able to reach above tall vine crops. 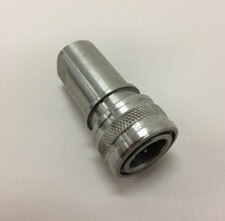 The TracFOG nozzle extensions attach to the nozzle base to extend the length of the nozzle by 24. This allows for the nozzle outlet to be placed closer to openings in doorways for fogging of difficult areas for tractors to enter. 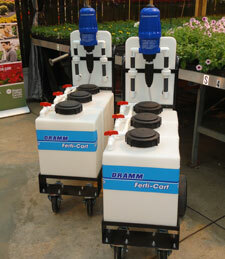 The FC3X7 offers three separate 7 gallon tanks, plumbed to allow easy switching between different solutions. The FC50-A-D8 offers 50 gallons of stock solution and larger plumbing for use with the D8 Dosatron injector for up to 40 gpm. 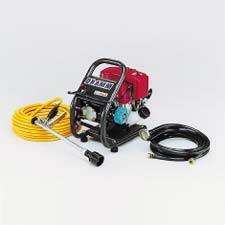 The FC50-A has AC powered agitation using our specilized agitation bar and a 5 gpm pump. Finally, the Ferticart has air injection to aerate to stock solution to help keep nematodes happy as they wait for application. The FC50-A-D45 offers 50 gallons of stock solution and larger plumbing for use with the D45 Dosatron injector for up to 20 gpm. 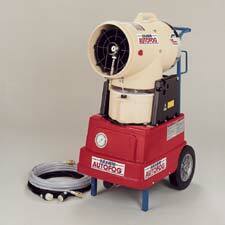 The FC50-A has AC powered agitation using our specilized agitation bar and a 5 gpm pump. Finally, the Ferticart has air injection to aerate to stock solution to help keep nematodes happy as they wait for application.